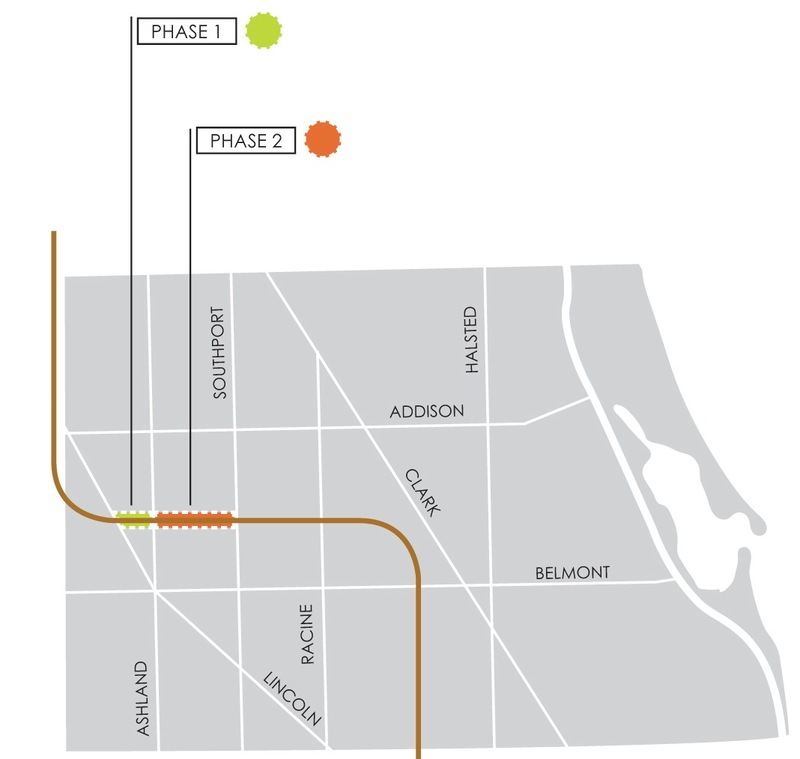 Today marks the one year anniversary of the Lakeview Area Master Plan (LAMP) reveal. During the research phase of LAMP, the number one feature Lakeview residents expressed need for was more public space. 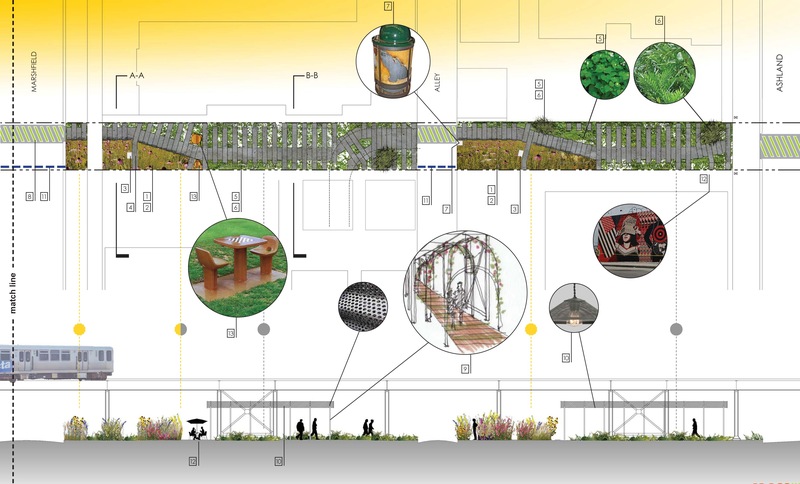 One of our suggestions was to create the LowLine, sprucing up the currently dingy path below the Chicago Brown Line’s tracks with native plants and solar lamps to connect and beautify the neighborhood. More inside. Reclaiming unused parcels of land for public use is a great way to activate an area with pedestrian activity, and to inject sorely needed public domains into urban areas that have few squares, parks and cobbled boulevards. 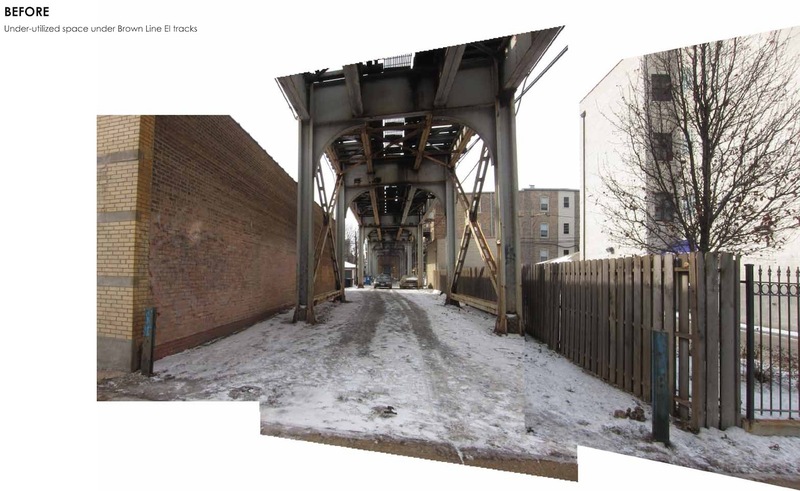 Of course, places like alleys, vacant lots and walkways beneath EL tracks need a little TLC first; these spaces generally repel people from gathering in them because they are empty, and that creates a threatening (at worst) and boring (at best) situation. The Metropolitan Planning Council’s suggestion to transform alleys by making them Al Fresco dining spots (ala Parisian use of narrow corridors) is in the same vein. Making these formerly deserted and undesirable areas into mini-parks and attractive plots would make them friendlier for the community, more populated (read: safer), and continue the process of prioritizing people in public areas, not vehicles. The LowLine would enhance the acerbic glow of streetlights with the soft light of solar-powered lanterns and local art. Careful observations were conducted to determine what sort of plants would flourish in such a space. These native illinois flowers, grasses and Japanese ferns will require little to no maintenance in order to minimize water waste, not to mention waft lovely scents and improve the urban environment for pedestrians. It seems the creative reuse of our industrial past is spreading. 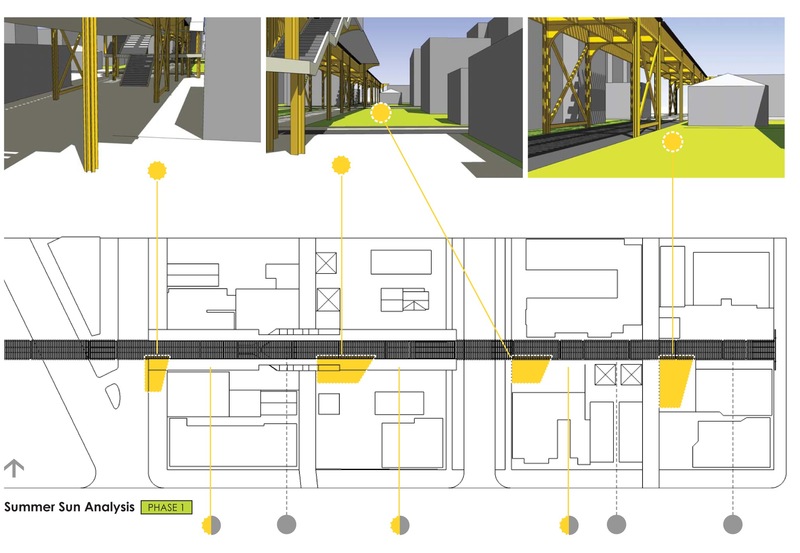 The High Line in New York is a glowing example of adaptive reuse of a derelict rail line. 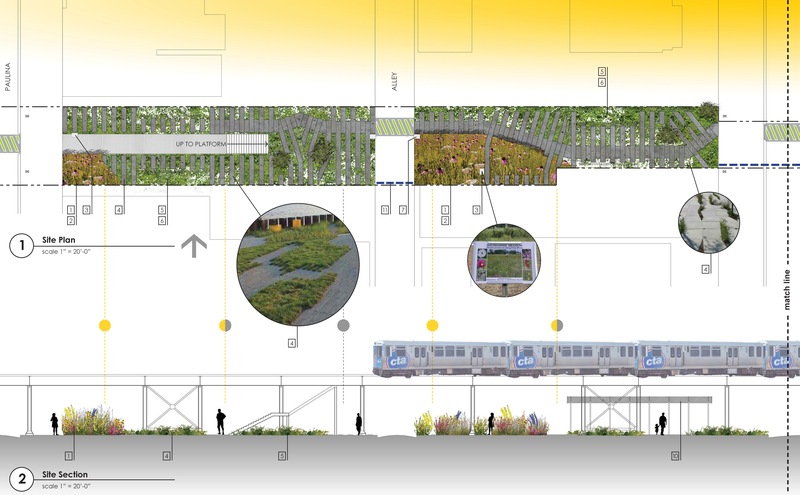 With the High Line as our inspiration, the Lakeview LowLine was born out of the Lakeview Area Master Plan. Similar projects are currently being developed, like Low Line Underground Park in New York and the Bloomingdale Trail in Chicago.